For Frankie Manning's 99th birthday, Ewa Burak and Lennart Westerlund choreographed the Global 99 Choreo and the Frankie Manning Foundation asked the worldwide swing dance scene to send a clip of that choreography from their hometown. A group of dancers from Zürich filmed that clip at the weekly open-air event Bürklihop, which is happening every Thursday evening during the summer months. Filmed and edited by Stefan Deuber. Check out The Frankie Manning Birthday Blog for all the other contributions. 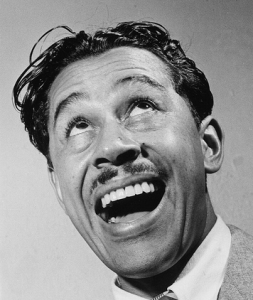 Cabell “Cab“ Calloway (Dec. 25, 1907 – Nov. 18, 1994) ranked among the most famous black stars in the 1930s, a charismatic and unique performer. He was a jazz vocalist, dancer and bandleader of one of the most popular African American big bands during the Harlem Renaissance and jazz and swing eras of the 1930s-40s. Calloway was also an ambassador for his race, leading one of the most popular African American big bands during the Harlem Renaissance and jazz and swing eras of the 1930s-40s, with Harlem’s famous Cotton Club as his home stage. Best known for his “Hi de hi de hi de ho” refrain from signature song “Minnie the Moocher,” portrayal of Sportin’ Life in Porgy and Bess (1952), and role in The Blues Brothers (1980), Cab influenced countless performers, including Michael and Janet Jackson, and many of today’s hip-hop artists. American Masters celebrates Calloway's career and legacy during Black History Month with the new documentary Cab Calloway: Sketches which was premiering in the U.S. on February 27, 2012, on PBS. Watch Cab Calloway: Sketches on PBS. See more from American Masters. Check out About the Documentary for more informations. Cab Calloway: Sketches is a co-production of Artline Films, ARTE France, and AVRO, in association with Inscape Productions and THIRTEEN’s American Masters for WNET. Gail Levin is director and executive producer for Inscape Productions. Jean-François Pitet and Gail Levin are co-writers. Olivier Mille is producer for Artline Films. Susan Lacy is the series creator and executive producer of American Masters. This program is made possible in part by the support of CNC, PROCIREP, ANGOA, and SACEM. Do you like the documentary? Please share your thoughts in the comment section below! The Savoy King – Feature Documentary Is Finished! YouTube is full of surprises. Again and again you can discover new clips and documentaries about Swing dancing. Yesterday, I've found (via Facebook) a documentary from 1988 about Lindy Hop, uploaded by “sabinoson”. A film by Jesper Sorensen, Vibeke Winding and Tana Ross. 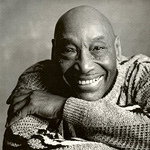 Featured among others are Frankie Manning, Norma Miller, George Lloyd and Mama Lu Parks. Some of you who attended Herrang Dance Camp last summer, had the opportunity to watch the documentary “The Unforgettable Hampton Family“, together with Dawn Hampton in person. The interest was appropriately high and the library, where it was shown, fully packed. At the end of September, buddhaboogie, better known as big band leader George Gee, published the documentary on his YouTube channel. The documentary celebrates the Hamptons, a talented African-American family who overcame poverty and prejudice to build successful musical careers. The Unforgettable Hampton Family is a production of BetterThanFiction Productions for WNET. Produced, written and directed by Julie Cohen. Editor is Scott Feinstein. Field producer is Alex Lowther. Director of Photography is Rich White. Executives in Charge are Neal Shapiro and Stephen Segaller. Narrated by Lowell Deo. 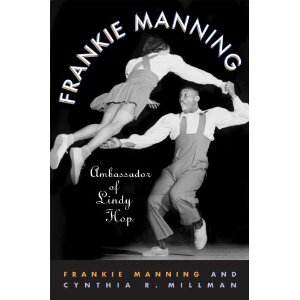 Today, Frankie Manning – the Ambassdor of Lindy Hop – would have turned 97. Happy Birthday Frankie, we all miss you! Are you new to this blog? Then I would like to welcome you and take the chance to spotlight the posts about Frankie Manning I have published so far. One of Frankie Manning's favourite swing songs. Written by Frank Foster, performed by Count Basie Orchestra. This is by the way one of the most successful posts on Shuffle Projects and it was shared on Facebook as often as no other post. Watch this documentary and you know why. The King of Swing featured in a beautifully designed online magazine. Tribute Video, almost eleven minutes, produced by Swing Bud Films. If you don't know anything about Frankie Manning, then you should read his biography “Frankie Manning: Ambassador of Lindy Hop“, available at Amazon.com or Amazon.de (for Germany, Switzerland and Austria). Sign up for the weekly blog update by email and get the new blog posts directly in your inbox.